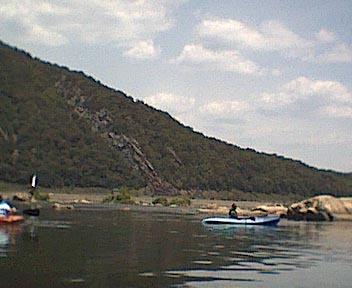 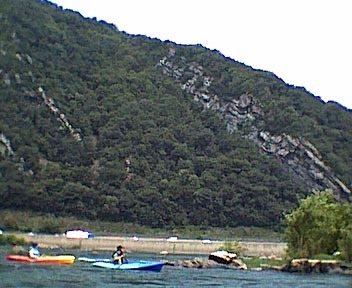 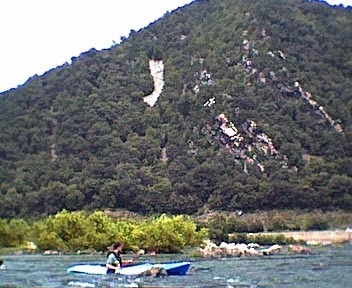 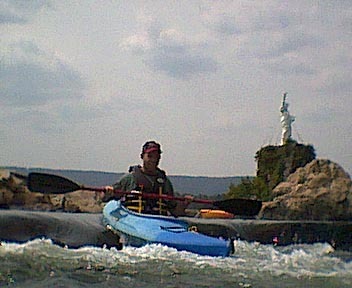 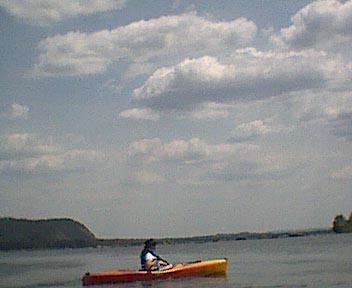 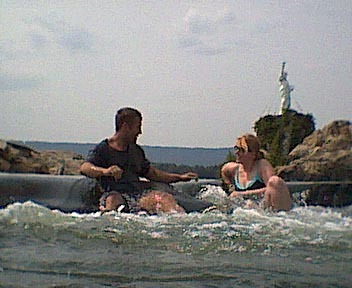 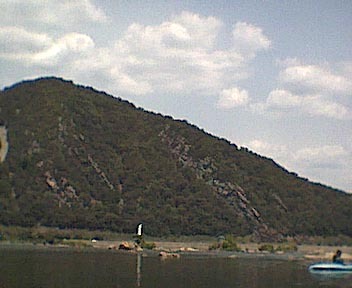 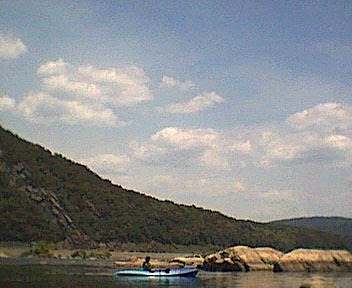 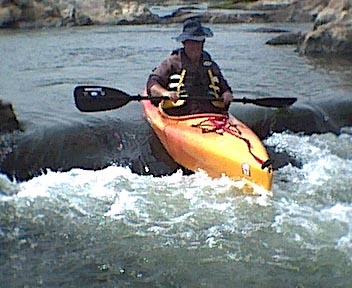 Susquehanna River trip on July 6, 2002! 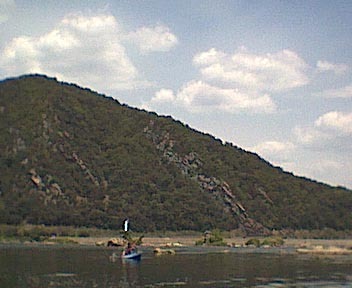 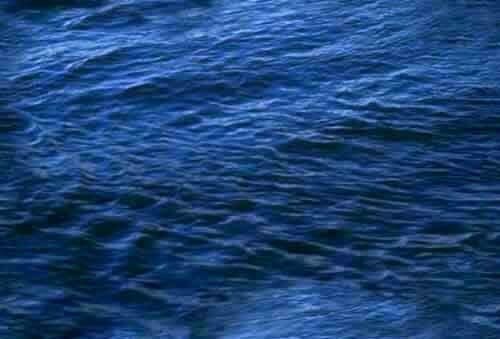 The Susquehanna River gauge at Harrisburg was about 3.7 feet. 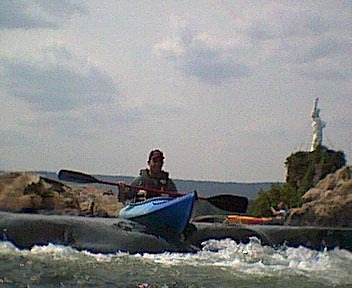 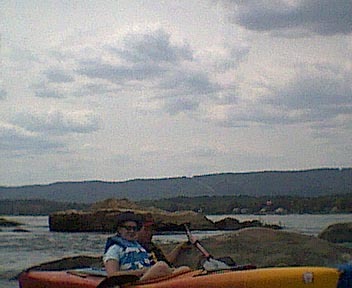 Jim, Mike and Jana paddled from Dauphin to Marysville. 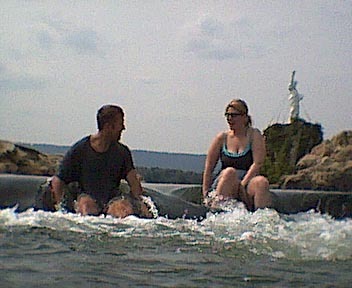 Jana's first trip in the Dauphin Narrows.